What are the roles of antioxidants in liver health? Many of us are familiar with the word ‘antioxidant’. It appears everywhere on the internet, TV commercials, food advertisement, health channels, and even in cosmetic products. While we have heard from everywhere that antioxidants have a positive health effect on our body, but what do they actually do in terms of promoting liver health? To have a better understanding of what antioxidants are and what parts they play in enhancing liver health, we must first meet the liver’s biggest enemy – oxidative stress. Every day, oxidation takes place within our body, including in our liver. Oxidation is a chemical reaction that produces free radicals, which are associated with many diseases such as cancer and Alzheimer’s disease. 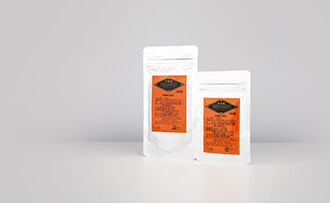 Free radicals are essential to life as they help produce energy through air and food. However, when they exist in a large amount and the body cannot keep up with its antioxidant defence mechanism, oxidative stress occurs. Some common signs that show we are under oxidative stress are fatigue, headaches, and susceptibility to infections. Our liver is under constant attack from oxidative stress which is induced by factors such as alcohol, drugs, toxins, virus, obesity, and insulin resistance. 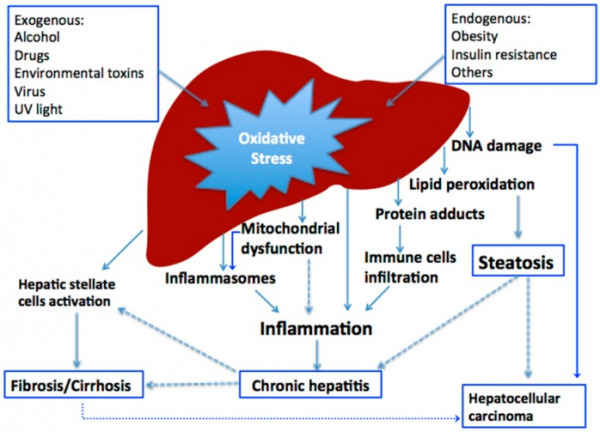 As time goes by, oxidative stress builds up and severe liver diseases develop. Below shows a figure explaining how various factors cause liver diseases. Try to imagine that the health status of the liver is determined by the balance between the free radical production and the antioxidant defences. In a healthy individual, both sides have more or less the same production. But in people with liver diseases, their free radical generation exceeds way more than their free radical elimination, hence the development of different liver problems. To combat free radicals and to lessen oxidative stress, antioxidants are required. Naturally, our body has the ability to make antioxidants itself, but most of the time the amount is not enough, and that is when we have to obtain extra antioxidants from diets. Since the role of antioxidants is so significant in maintaining liver health, there has been an increasing number of studies and researches that focus on the therapeutic effects of herbal therapies with antioxidant properties on recovering liver health. According to the National Center for Biotechnology Information, edible or medicinal plants often contain natural antioxidants that have strong antioxidant and free radical scavenging abilities as well as anti-inflammatory action, which are proven beneficial for liver health recovery. As the key to liver health lies in its oxidative balance, it is important to include antioxidants in our diet and at the same time stay away from the factors that contribute to oxidative stress. In that way, maintaining good liver health is not as difficult as it appears.